This iceberg looks like a giant rock floating upon the surface of the water in Iceberg Alley near St. Anthony in Newfoundland, Canada. On an iceberg watching tour with Northland Discovery Boat Tours leaving from St. Anthony in Newfoundland, Canada, you will enter Iceberg Alley where a massive rock of ice floats around aimlessly. 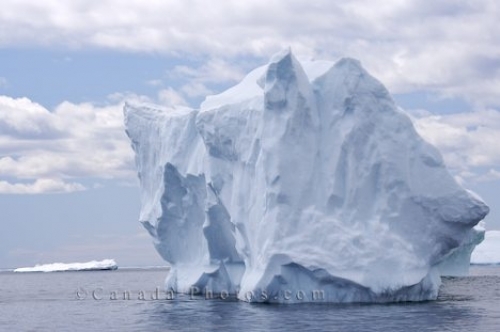 This is just one iceberg that is seen around Iceberg Alley and many of the others are much larger than this particular one. Picture of a gigantic rock of ice that has traveled many miles to reach Iceberg Alley near St. Anthony, Newfoundland.